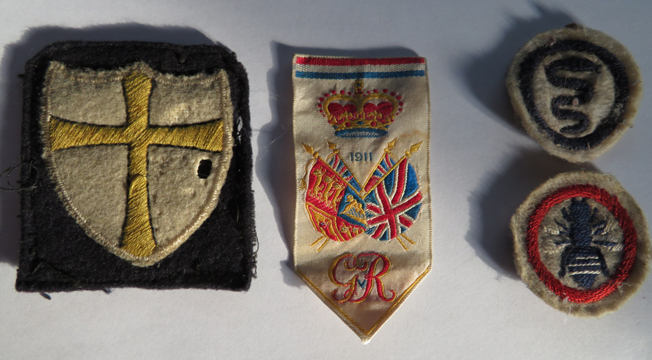 The first patch is British 8th army. Thats all I can help with. 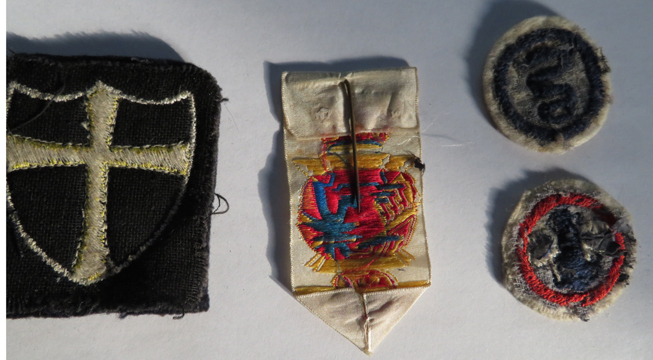 The eight army patch can be found on Canadian BD's, usually 1st and 5th Division. The others look like boy scout merit badges and a coronation ribbon. Knowing nothing about Boy Scout patches (so take these suggestions for what they are worth) I think the two patches might represent a scout's first snake bite and bee sting...get the poison ivy patch and you'll have the whole set. BAP wrote: Knowing nothing about Boy Scout patches (so take these suggestions for what they are worth) I think the two patches might represent a scout's first snake bite and bee sting...get the poison ivy patch and you'll have the whole set.